Bike racing doesn’t always favour the bold (but it’ll be worth it when it does) – Ride. Write. Repeat. I don’t think I set any really specific goals for myself this season. I was too busy trying to see if I could get a bit better at sprinting, and attempting to launch a women’s cycling team (club, thing). 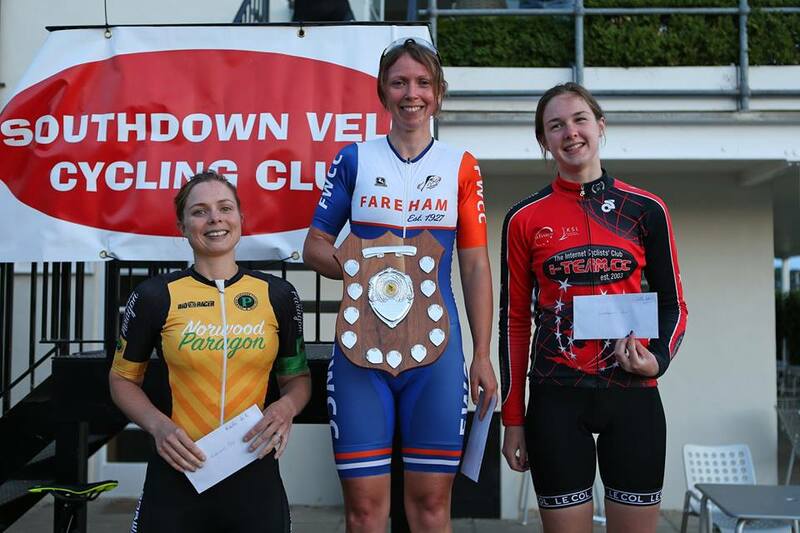 The sprinting went ok, actually – I’ll never get to the top step in an all-out muscle-off (genetics, darling), but I did manage third overall at the Southdown Velo Goodwood series, which is a course for fast legs, since there’s not a hint of elevation on it and the bunch can never not see a break (if it even manages to get more than four metres distance). Not targeting any particular goal meant that when we were in late spring/early summer and I already had 80 of the 200 points required for a 1st Cat license, I started to wonder if a new, lower number on my BC card might be the goal. To be clear, both options are truly deserved and take A LOT of dedication and hard work. But I promptly decided that being the second type of rider is not a sure-fire way of ever becoming the first type. Plus it’s expensive and hard to tie in with a full-time job. 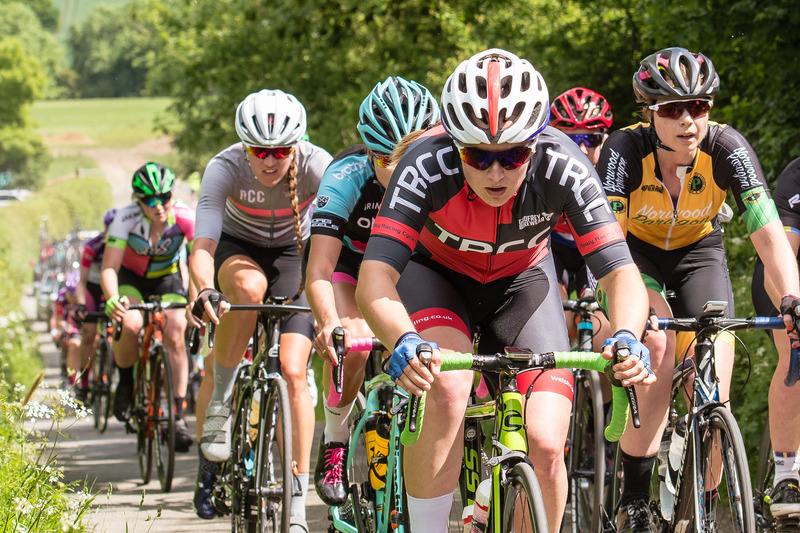 So I opted instead to simply accept being stuck in the no-mans-land of easily maintaining Cat 2 and not yet reaching Cat 1, and enter more races where I’d be pushing myself outside of my comfort zone – Team Series events, the National Series Cicle Classic, and so on. The only National Series race I did was the Cicle Classic. Due to aforementioned goal-less-ness, I didn’t have the early ones on my radar and the later ones were far into the depths of the North, which becomes expensive for the hour or so of crit racing on offer. Melton’s gravel bonanza was pretty much a write off from kilometre zero. I had to skid my back wheel to avoid two crashes before 10 miles was out and I was doing a hefty percent over my FTP to stay on, even at the smaller rises (I didn’t look down on the bigger ones). I imagine the early pace was largely motivated by the stronger riders wanting to get rid of the chaff (such as myself) before the gravel sections – about 30 of 100+ starters finished and plenty of girls who finished in the top 20 of previous National Series races were dropped so I wasn’t too downcast to not make the finish, more pleased to even get the opportunity to partake. Women’s Team Series races have been a much more approachable beast, though peppered with frustration. The series was launched by Jon Miles in 1999. “We had three races in the first season 2000, one in Wales, one in Derby and my one on Bedfordshire, my one had the most riders… 37… which at the time was the biggest field for some years. Women’s racing was that bad which is why I invented the Team Series,” Miles tells me. Now the races usually have full fields (50-80) and they’re the kind of events where you’re racing against well set up teams, with decent tactics and strong legs (as well as some riders like myself). 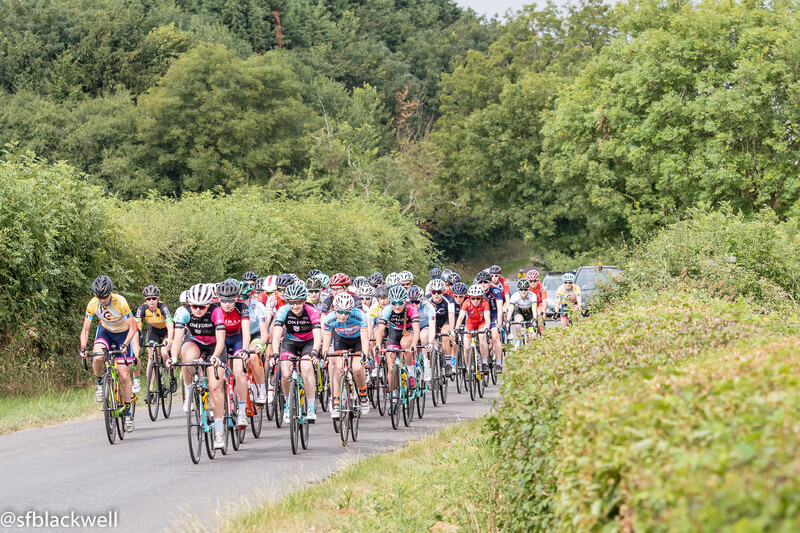 At Cyclopark’s Grand Prix, I was keeping myself safe in the bunch – getting used to a crit race with 50 riders on a tight circuit (won’t lie – I’m used to 20-30) – when the first break went. That was chased down before the subsequent selection went. Having helped regain contact with the first break, I kind of assumed that the second would get caught too. Nope. The result was that most teams had a representative in the break and all the other lone rangers were quite happy to sit in the bunch. Le Filles did an epic job of blocking and countering so that a few of their riders could solo off the bunch. I largely burned all my matches with frustration, making soft attempts to get away but never really going anywhere, and rolling in, somewhat dejectedly, 23rd in the sprint. Oakley’s Road Race was a toughie – with a bitchin’ steep hill towards the finish. No break was successful but I frankly just didn’t have the edge on that last climb – no excuses there. Naesby was my first glimmer of success. A break of six riders went about 14 miles in. I could see them up the road, and no one was responding. They didn’t look to be moving at any sort of lightning rate – so I set off after them. We were on a shallow drag, which quite suited my tester instincts and I reached the back of them, with not a single member of the peloton on my tail. Excellent. The six riders were keeping the pace high with a smoothly rotating chaingang, so I missed one turn to recover and then joined in. The rhythm was settled, we’d only had to shout at the lead car for slowing down once, then as we approached a corner the two riders ahead of me collided – landing in a tangled mess of limbs so I had to come to a dead stop as the rest of the break sailed up the following hill. They were both fine, if a little bruised, and I began a hideous chase – for the second time of the day. The distance wasn’t sinking. Then a Fusion rider (who had a team mate in the break) came to the rescue. I sat on her wheel, by this point legs radiating that numb sort of pain that generally signals there’s nothing left. After a while I decided she’d not take kindly to having a useless tag-a-long, so I took a turn. Once rested, she came round, murmured “one more push” in a way that meant I was welcome/expected to join… got out the saddle, and I watched her wheel slide away. 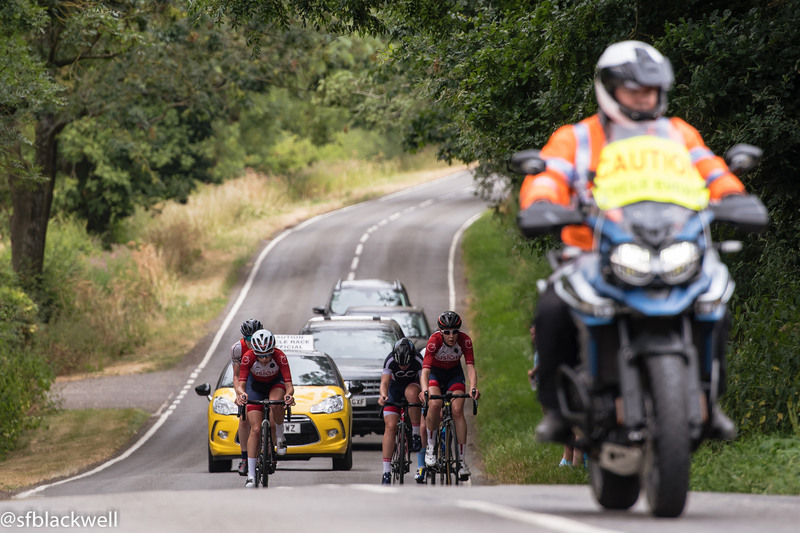 I chased a bit more on my own, as she regained contact with the break – and then accepted I was going back to the bunch. Most upsettingly, my stint in the break was so placed that I didn’t even make it into the race report OR any of the pictures. The injustice is real. The break got to the finish line before the bunch, and I was still too blasted to get anywhere in the sprint. Bizarrely, I came 24th at Oakley and 26th at Naesby (massive kudos to SenzaParagoni teamie Anna for getting all our Team Series points so far, with two 15ths!) – but clearly the latter was a much better race for me, even if it didn’t pan out well on the day. In this case, bike racing did not favour the bold, but I’ll try again next time.